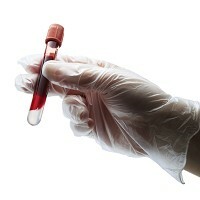 A new blood test could lead to quicker cancer diagnosis, meaning the possibility of earlier treatment. The test, developed by researchers from the Royal Brompton Hospital and the National Heart and Lung Institute at Imperial College London, helps to identify cancer-specific gene mutations in the DNA. They claim it could be a real "game changer" in the diagnosis and treatment of all types of cancer. But no matter what type of cancer a patient has, cancer travel insurance ensures they are covered on holiday, from lost medication to 24/7 emergency assistance. The new findings, presented at the annual World Conference on Lung Cancer in the United States, were gathered from a study on blood tests from 223 patients, all of whom were pre-surgery for known or suspected lung cancer. But the researchers were not told whether patients had already received a definitive diagnosis. Using the new test, they correctly identified cancer-specific gene mutations in the DNA of nearly seven out of 10 patients who were later confirmed to have cancer. Consultant thoracic surgeon Eric Lim, author of the investigation, says patients who receive a positive result in the test could be spared the ordeal of going through an unnecessary and invasive diagnostic procedure. However, he warns the test is not an alternative to a biopsy for all patients. DNA was extracted from the plasma and analysed to identify three common gene mutations, which are not usually found in the blood of healthy individuals. Cancerous tissue was also analysed for these genetic abnormalities to see how closely it could be linked to the blood sample. The gene patterns of the patients with primary or secondary lung cancer were found to be the same as patients with other forms of cancer, like colorectal cancer, suggesting the test could identify the presence of other cancers. While being less invasive but still accurate, Mr Lim, of the Royal Brompton & Harefield NHS Foundation Trust, claims the test could lead to patients having earlier imaging scans and beginning treatment sooner. But he adds other conventional diagnostic methods would still be needed, while a negative result from the blood test would not completely rule out the presence of cancer cells.